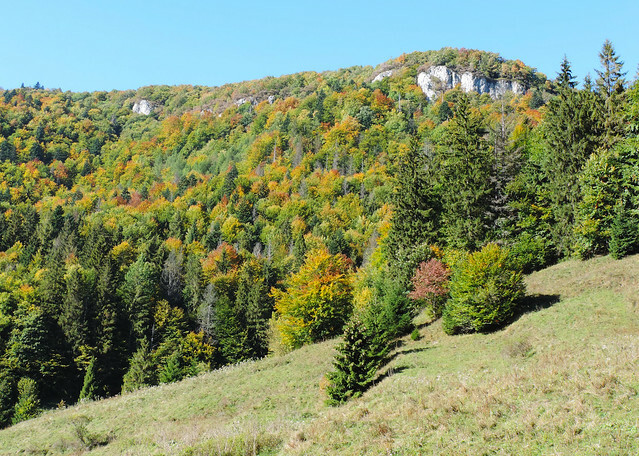 In the previous piece of this series featuring all the lovely canyons of Slovak Paradise National Park, we wrote about its longest canyon, Veľký Sokol. 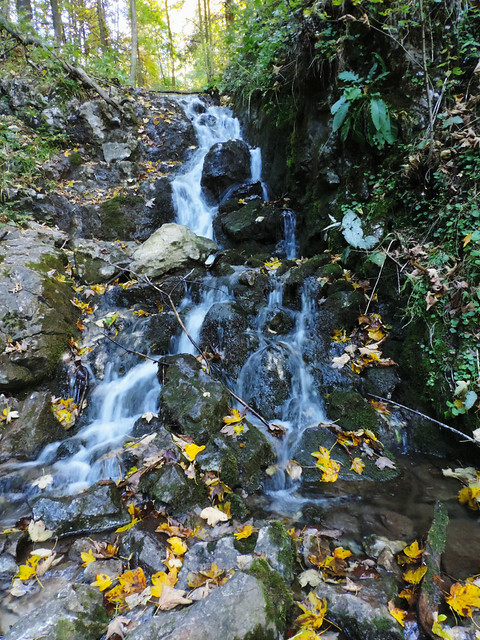 Now it’s time to get to know the shortest one: Zejmarská glen (Zejmarská roklina in Slovak). We may call it the cutest, as well. 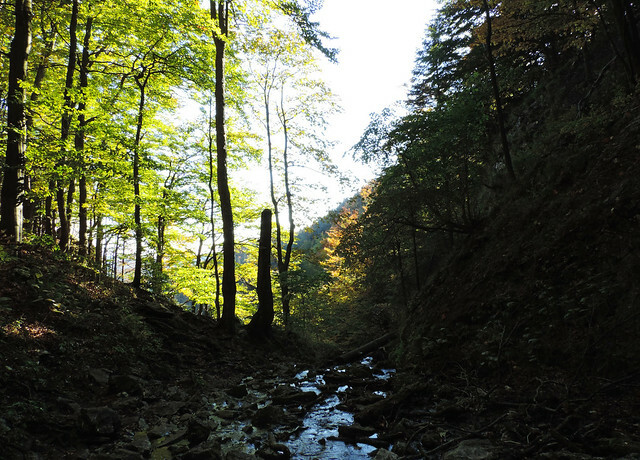 Zejmarská glen can be reached by a short hike from Dedinky. Another option is to drive to Biele Vody where the entrance of the glen is located. Since the walk from Dedinky to Biele Vody is like 20 minutes, we started from Dedinky. 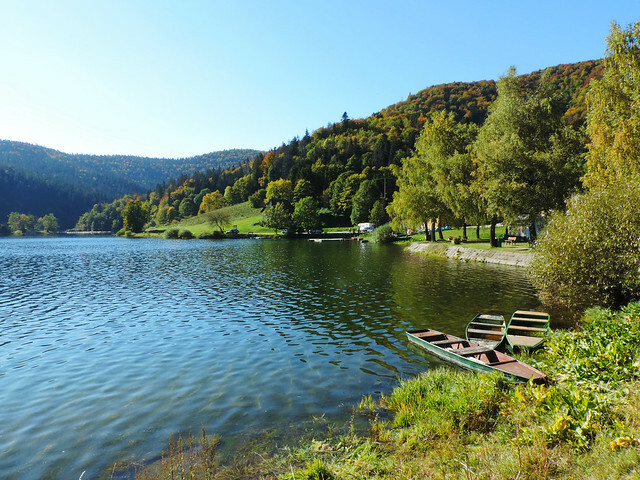 The other reason to start there is that the small village of Dedinky is located right by the water reservoir of Palcmanská Maša. It’s just nice to start your day with a breakfast at a lovely lake – the largest one in Slovak Paradise National Park, by the way. After that we walked to the glen entrance at a very comfortable pace then bumped into a ranger. Officially, there’s entrance fee to the Slovak Paradise. But based on our experience only certain canyons have an entrance fee – and even that is very random since you pay it to the ranger if he is around when you enter the canyon. Anyway, the ranger we met collected the entry fees and we continued our way up from then on. However, as soon as we got excited about some pretty waterfalls and some ladders that helped us climbing up, the little glen was conquered. 😀 The whole adventure took about 2 hours, including the time to get there from Dedinky and then get back. The glen could be ideal for beginners and kids though. With that said, there are some steep sections where you need to climb an iron ladder or hold onto chains to secure yourself. So it actually gives a good idea what it takes to hike the glens of Slovak Paradise in general. What else to do near Dedinky? Zejmarská glen was shorter than we expected. Luckily, this national park has no shortage of glens and waterfalls. Or you could explore the biking trails around Dedinky. But if you’re lazy and would rather chill out on a sunny summer day, Palcmanská Maša, the water reservoir could be your place. You can even rent a boat or have a swim.